1867 Indian Head cents are about as scarce as the 1866 Indian Head cents, and are somewhat challenging to find in decent condition. As many of the earlier Indian Head pennies are found in corroded, damaged states, any piece that seems clear of such imperfections would make a great buy. 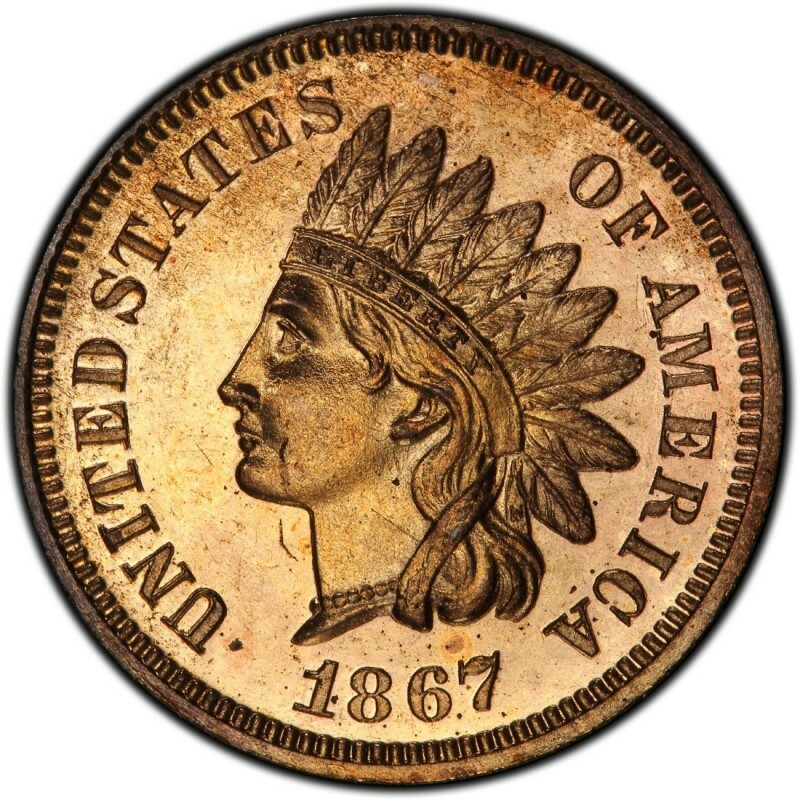 In the case of locating an 1867 Indian Head penny, you best bet will be to check with your local coin dealer or with an online auction site such as eBay. 9,821,000 Indian Head pennies were made in 1867, and these typically cost around $52 for a Good-4 specimen. 625 proof versions were also made, and these are worth $6,100. Another variety that some collectors will look for is the 1867/67 overdate, which is not severely more uncommon than the regular strike. The overdate sells for $65 in Good-4. Between the business-strike and proof varieties, most Indian Head penny collectors will opt for the regular issue to include in their coin collections, given the expense of the proof variety. Indian Head pennies were designed by James B. Longacre, who served as Chief Engraver of the United States Mint from 1844 through 1869. 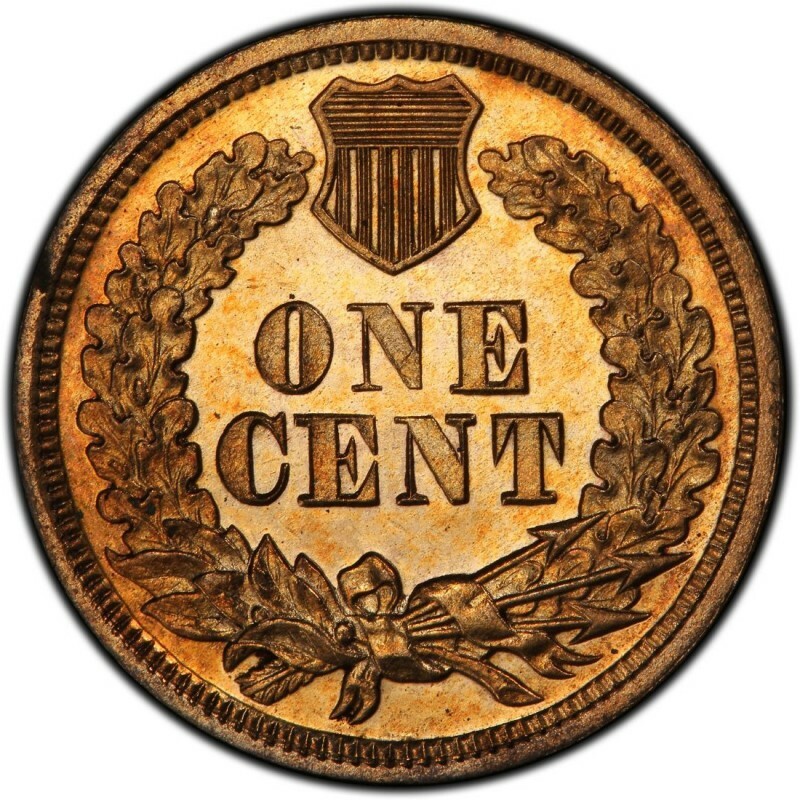 Along with the 1867 Indian Head penny, he also designed the two-cent coin, which is most famous for becoming the first U.S. coin to bear the words IN GOD WE TRUST in 1864. Many people believe he placed an actual Native American on the one-cent coin, but the lady on the coin is none other than Miss Liberty, who in this case was modeled by Longacre’s daughter, Sarah.